3D printing is making a strong appearance at prestigious annual tech show CES, which runs until this Friday in Las Vegas. 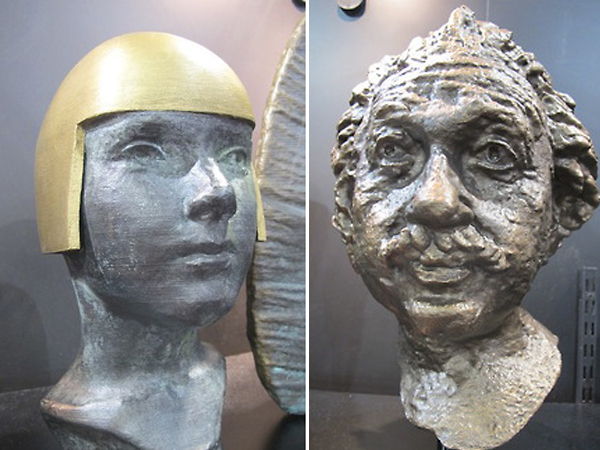 Artist Cosmo Wenman's distinctive approach, shown here, is to photograph marble or bronze busts in the British Museum, then use a Makerbot home printer to create fine art reproductions made of plastic. For more show coverage, subscribers can read our report on CES 2013 technology trends; for more 3D printing trends, see our report from the 3D Print Show 2012, and our macro trend Industrial Evolution.